Healthcare experts recommend LCS for individuals at high-risk for developing lung cancer. 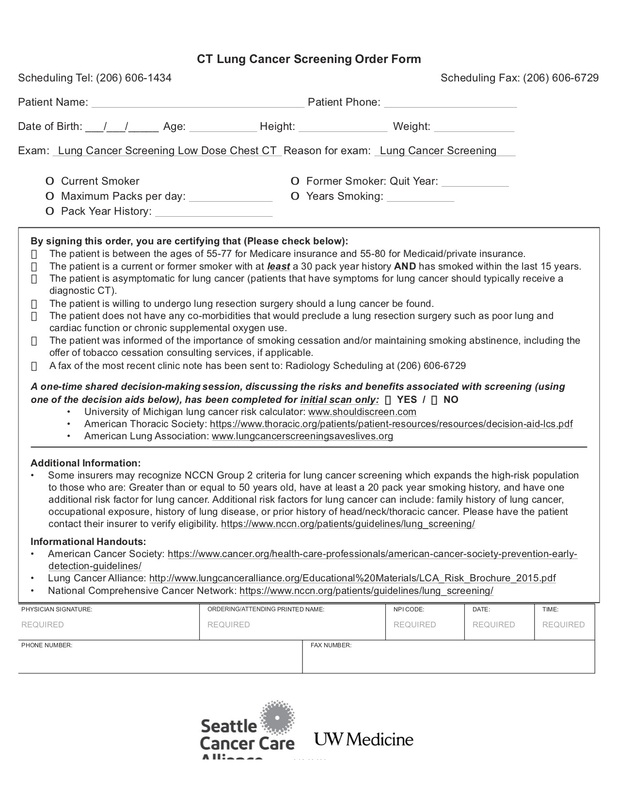 The goal of LCS is to detect lung cancer early to save lives. Without LCS, lung cancer is usually not found until a person develops symptoms, and at that time, it is more difficult to treat. LCS is performed using a lower radiation version of a chest CT scan, taking an image of your lungs and surrounding structures. This is a 10-minute test that is performed as an outpatient. As a private health insurance patient, you are eligible for LCS if you are age 55 to 80, have smoked the equivalent of one pack of cigarettes per day for at least 30 years, and are a current smoker or quit smoking within the past 15 years. It is important that you have no signs or symptoms of lung cancer including persistent cough, worsening of chronic cough, coughing up blood, constant chest pain, persistent hoarseness or unintentional weight loss of greater than 10 percent of baseline weight. If you have any of these symptoms, then a different type of diagnostic evaluation is required. Quitting tips and advice can be found at www.everydaychoices.org or by calling. Printed quit materials are available, including Spanish materials. Also offers an online quit smoking program Freedom From Smoking® Plus at www.FreedomFromSmoking.org; in-person group clinics at www.lung.org/ffs and telephonic services at 1-800-LUNGUSA. The quit support line offers information on smoking and health as well as help with quitting. Languages and range of services vary by your state of residence. Has advice on how to protect children from secondhand smoke at 1-866-766-5337 (1-866-SMOKE-FREE). Quitting information, quit-smoking guide, and counseling are offered, as well as referral to state telephone-based quit programs (if needed for special services). For free information on their 12-step program, meeting schedules and locations, print materials, or information on how to start a group in your area. Offers free, cutting-edge services to people trying to quit tobacco.